You know what time it is. People, it is time to meet the Angry Reader of the Week, spotlighting you, the very special readers of this website. Over the years, I've been able to connect with a lot of cool folks, and this is a way of showing some appreciation and attention to the people who help make this blog what it is. 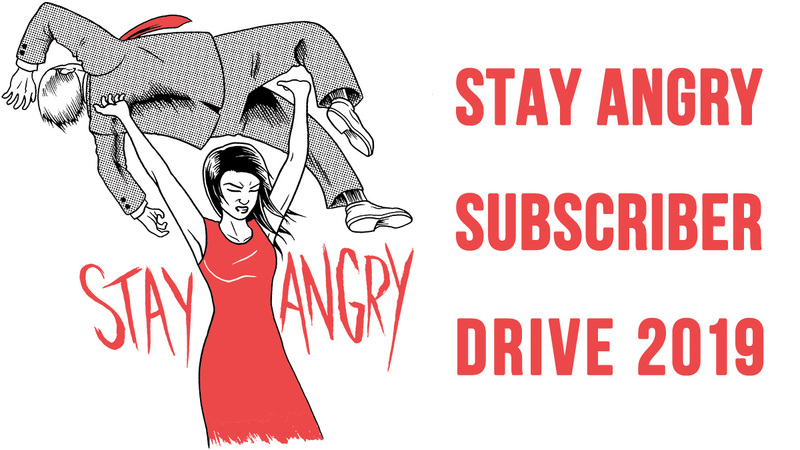 This week's Angry Reader is my old friend Maggie Lee. I'm Maggie. 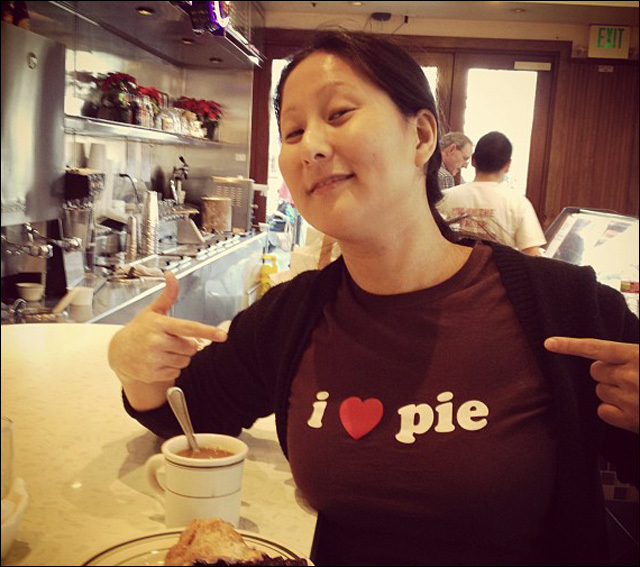 I'm Korean American and I love pie [see above]. A playwright and a sketch comedian based in Seattle, WA. In my kitchen/office in Seattle. It's one of those ridiculously gorgeous summer afternoons that no one ever believes happens in the Pacific Northwest, 80 degrees and blue skies. 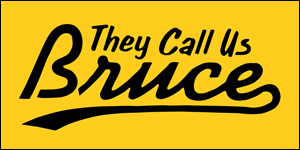 I hail from Sunnyvale, CA. It's famous for high tech, the haunted Toys 'R' Us, and the humble beginnings of the Angry Asian Man. PFP's sketch show Porktacular! 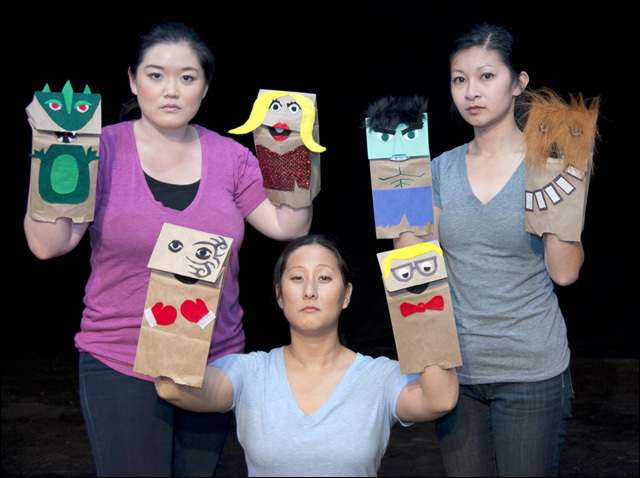 with Narea Kang, Maggie Lee, May Nguyen, and a whole lot of puppets. I am the lead sketch writer and a performer for the Pork Filled Players, Seattle's only Asian American sketch comedy group and the longest running sketch group in the city. I've been writing and performing with PFP for about 8 years, and I also build puppets! I write plays, and my work has been produced locally here in Seattle, including H.P. Lovecraft stage adaptations, mythological park shows, and a haunted house romantic comedy called Kindred Spirits. Most recently, my steampunk adventure play The Clockwork Professor was staged this summer by Pork Filled Productions. We had an awesome multicultural cast populating this new science fiction world, and some amazing props and costume design work all done on a fringe budget. Check out some photos here. As a sketch comedian, I am all about overcoming assumptions and lazy humor. Just because you're a girl, you don't need to write jokes about your period all the time. Just because you're Asian American, you don't need to pull out the crazy grandma character or tired yellow fever jokes. Our group of sketch writers is actually just a bunch of nerds, so the majority of our sketches skew more toward the absurd and geek humor than anything else. I also struggle a lot with the expectations of what an Asian American female playwright should be writing about. You know the drill: teachable moments on race issues, gender issues, culture issues, my wacky but ultimately wise Korean mom, etc. But the stories that have truly inspired me and shaped me into who I am are the grand adventure tales, science fiction, horror, and other epic genres. I found my voice in these kinds of stories, and I want to bring them to a live audience in a way that they haven't experienced before. I want to shake up the old assumptions of what Asian American theater should be – we should be free to use our creativity and unique perspectives to create the theater we want to see, and not be constrained by any obligations about what we "should" be writing about. 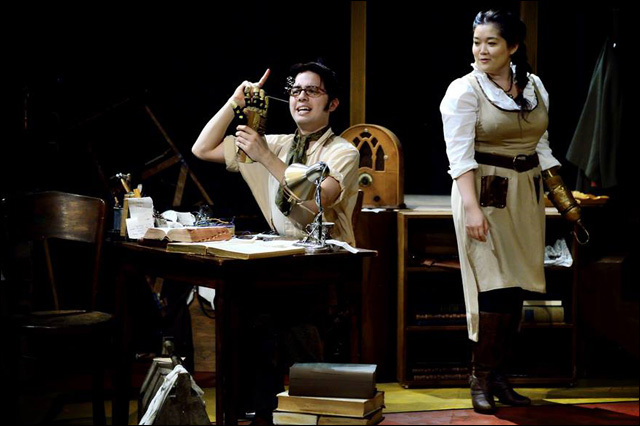 So an Asian American female playwright can write a steampunk play, why the heck not? I actually hate conflict, I usually shrug things off and try to diffuse arguments with jokes. Until you hit that point -- I don't even know where that point is exactly -- but something snaps and I will Hulk Out with extreme Korean Rage. I get angry about expectations, passive aggressiveness, and people wasting time or talent or food. I get angry when someone tries to tell me what to do and who I should be. I get particularly angry about not talking about things -- the idea if we don't talk about problems, then they don't really exist. Other things that make me angry: people who think animation is just for kids, running out of cake at weddings, and the time travel in Looper. The single timeline doesn't make any freakin' sense! GAH LOOPER! KOREAN RAGE!